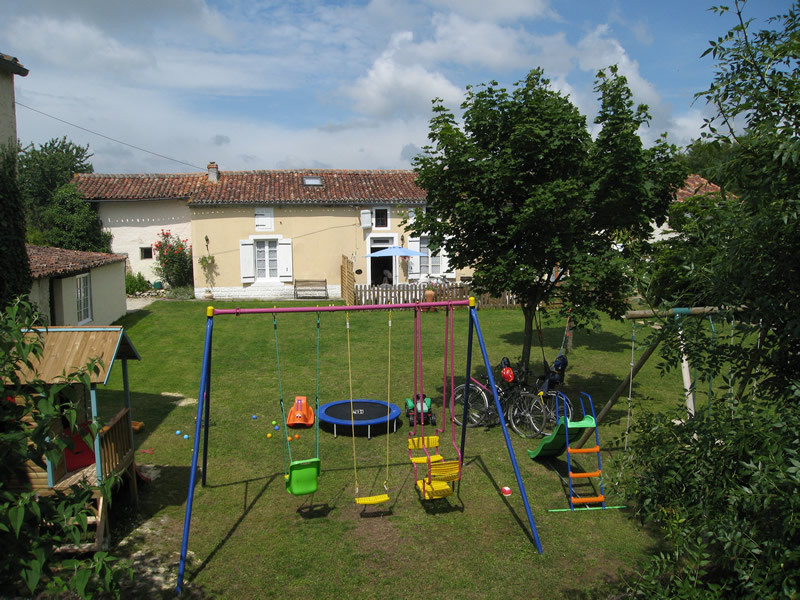 For families seeking relaxing, child friendly accommodation, well located for easy access to the sandy beaches, islands and the many inland attractions of Poitou-Charentes. 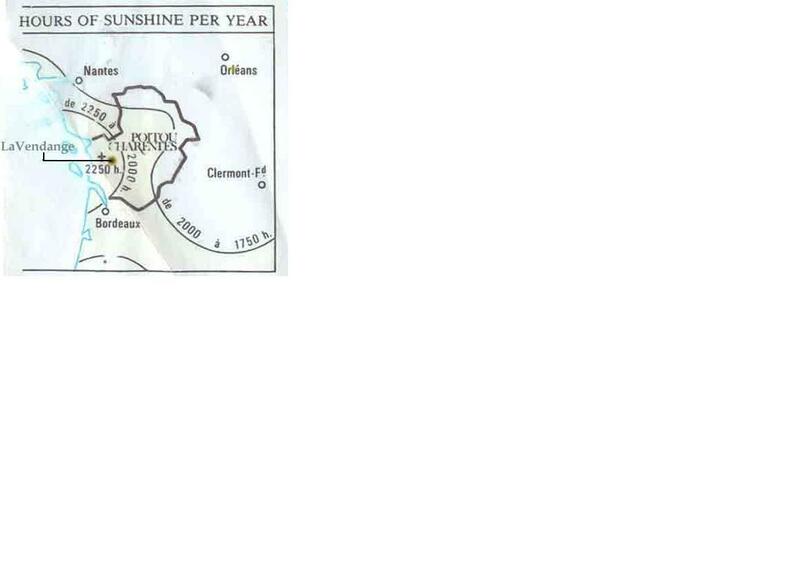 Our area is one of the sunniest parts of France. 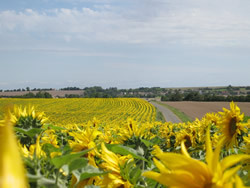 We are far from busy roads, on the edge of an historic village in the sunflower-strewn Nie valley (near St Jean D'Angely). 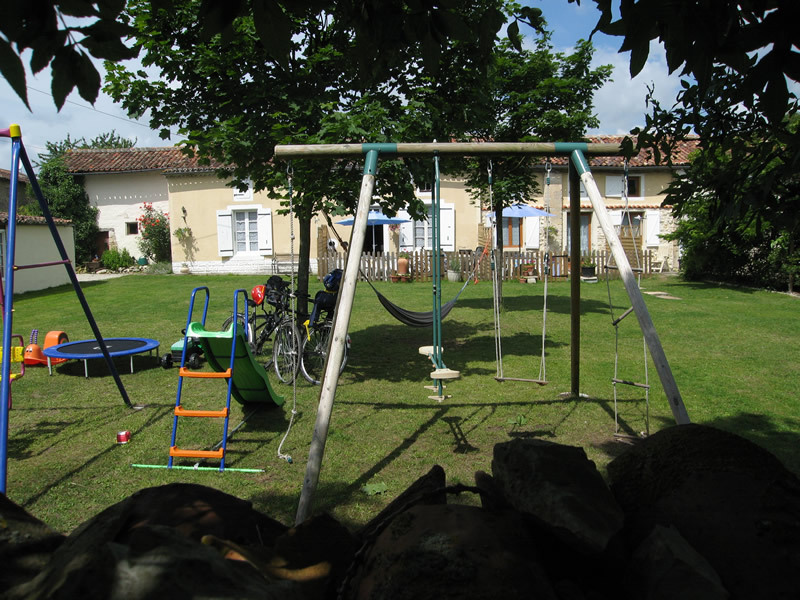 A former Napoleonic era fortified farm, the property has been carefully restored to retain its original rustic charm whilst optimising child-friendly characteristics. 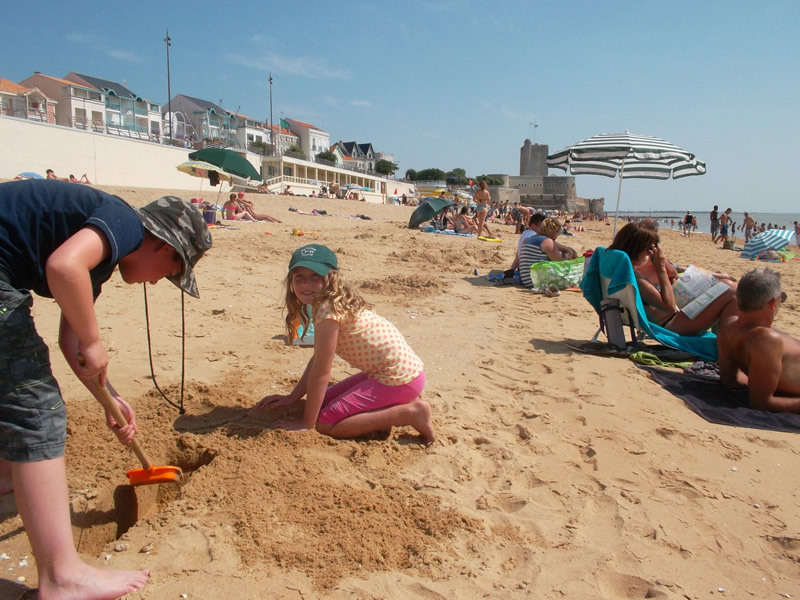 Our five family cottages sleep 5-8 +cot (3 or 4 bedrooms). The giant 1.8mx2.0m oak four poster beds are really comfortable. 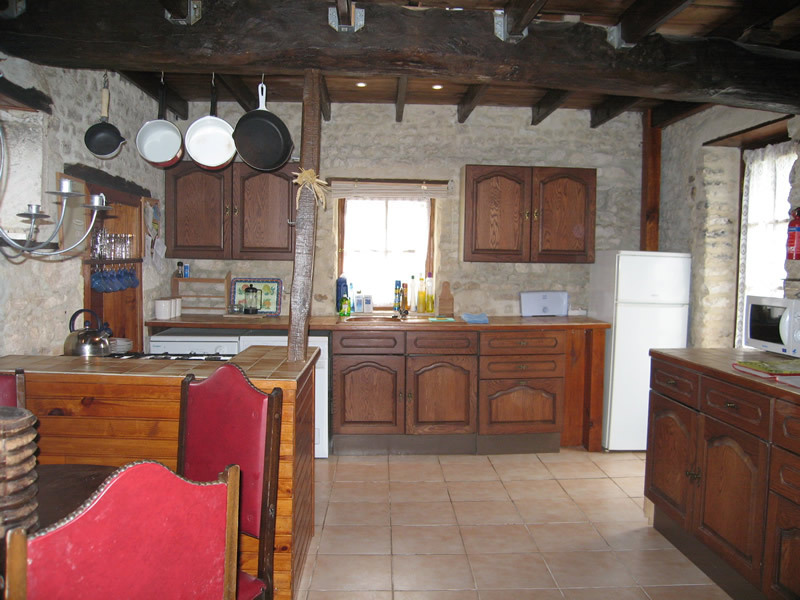 The kitchens are well equipped and all include fridge-freezer, washing machine, full oven, hob etc. Baby/toddler equipment is included and Babysitting is available. 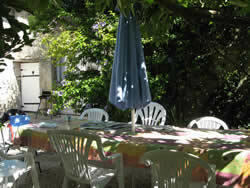 We hold pizza making evenings in the garden each week (dependant upon demand). Wine walks, tastings and guided winery visits are also available. (Click here to see the property layout). 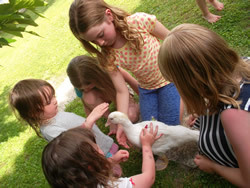 We have friendly hens, quail and ducklings who provide delicious eggs and much amusement for the children. 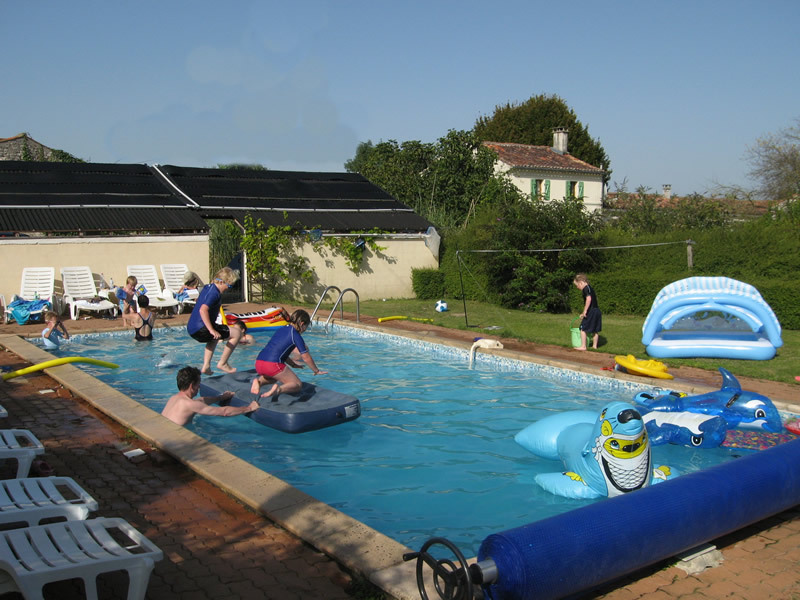 The 50m2 solar heated swimming pool is in a separate, secure, fully-enclosed area with its own very private lawn and sun terrace. 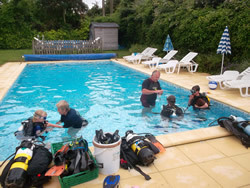 We also have local dive instructors who can come and give *courses in our pool every Tuesday ! 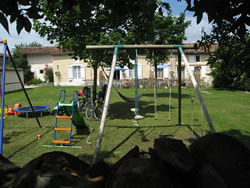 The main garden/playground area is also fully enclosed and within sight of *all the cottages. 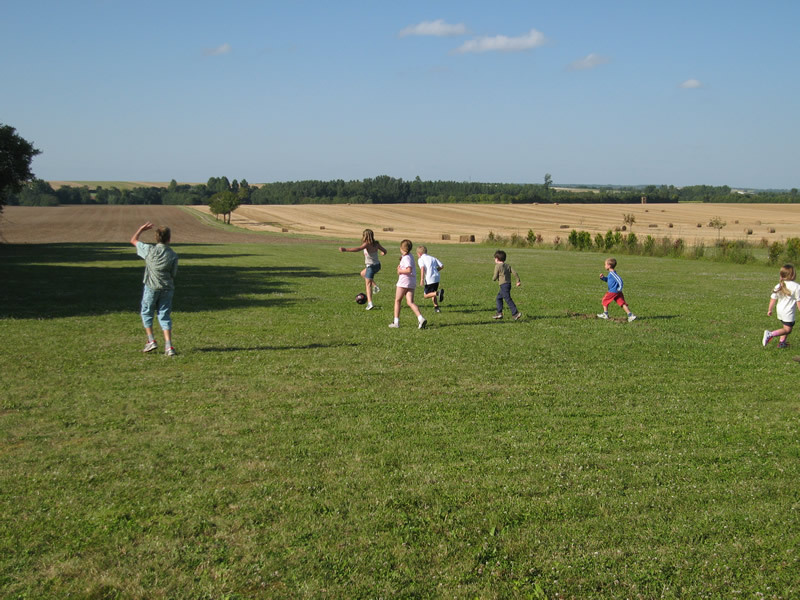 We have a field for football matches and a barn for table tennis. Wifi Broadband is available on site F.O.C. for all our guests. 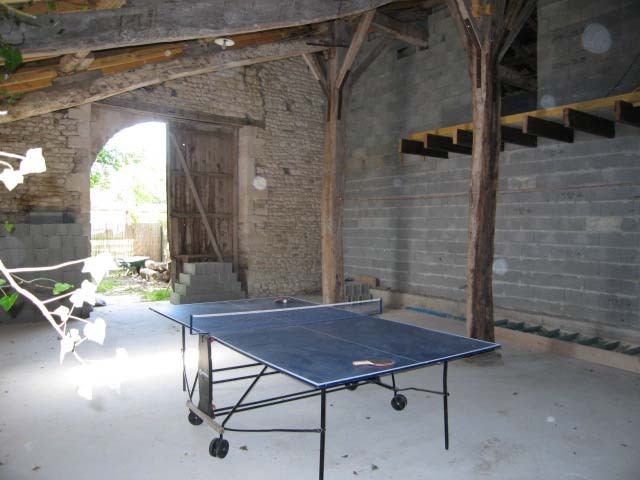 We have a large communal area in the barn for watching UK TV in comfort on a big screen. 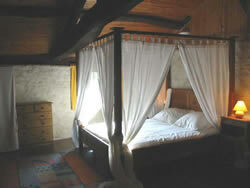 There is also a DVD player in each gite with a wide range of DVDs available in the barn. 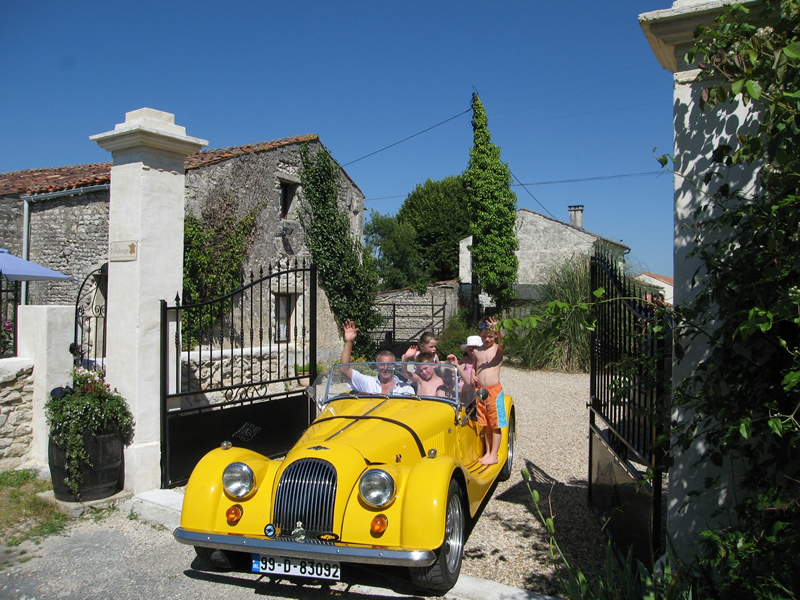 Charente-Maritime is famous for its sunflowers, seafood and sunshine. 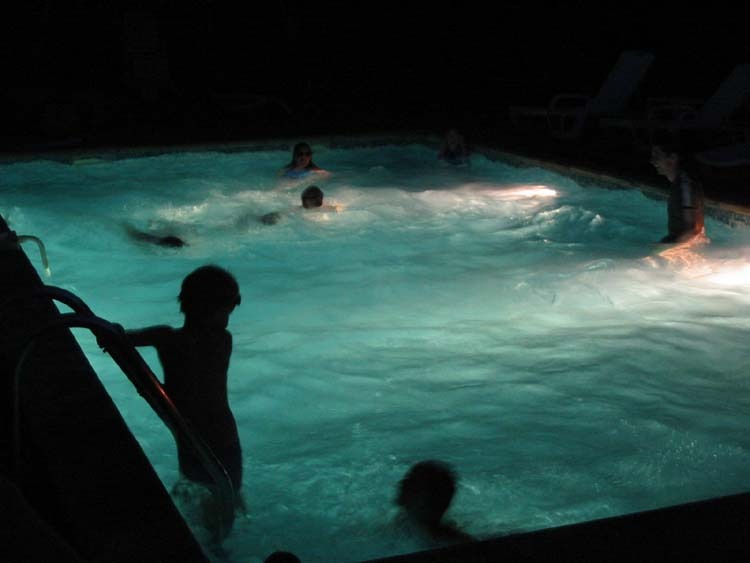 There is lots to see and do in the area. The nearest beaches are at Fouras (about 45mins). 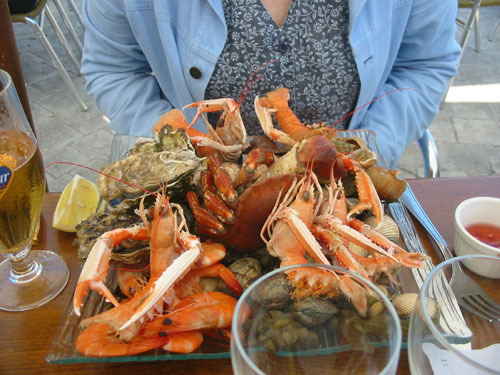 La Rochelle airport is about 1hr away and St Malo port is about 4hrs drive North. 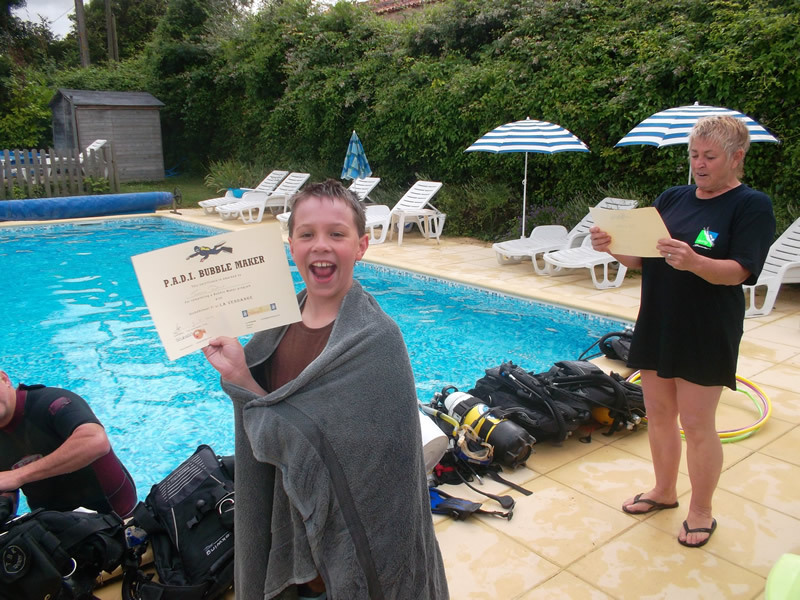 Please read our guest book to find out more. 2019 Prices & Availability. 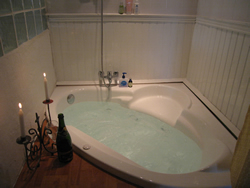 From €795/week. Click here or Contact: Richard (Tel) +33 977 197 287.